The Little Magpie: Lions and tigers and bears. Oh, and leopards. Lions and tigers and bears. Oh, and leopards. Happy Sunday my amigos! Today I present to you one of my favourite outfits I've worn in a long time. 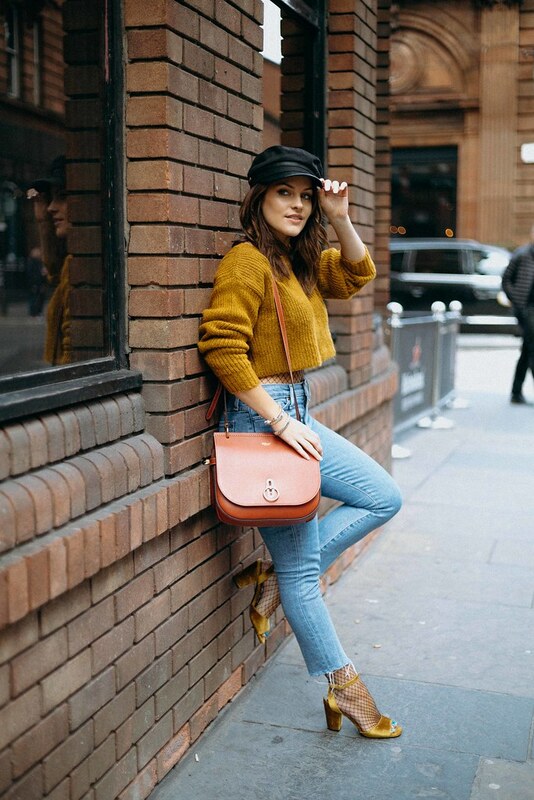 I wouldn't say I'm particularly risky when it comes to putting together outfits, generally I know what I like and I stick to it, so wearing fishnets under jeans is a new and very daring territory for me. I'd seen a few people doing it and loved it but always filed it under the category of 'things I'm not cool enough to pull off' (also in there: winking, wearing gold rimmed glasses, any kind of dancing among many, many others) but when I paired these shoes with the jeans they didn't look quite right... so desperate measures were taken.That's right, I pulled out the fishnets. And loved it! So there we go, things that seem scary or too wild for you might actually just surprise you if you try them. Maybe I will give winking a go after all. Ok, scratch that, I've just tried it in the mirror and it's definitely not working. That outfit is so cute! I just love that leopard jacket. 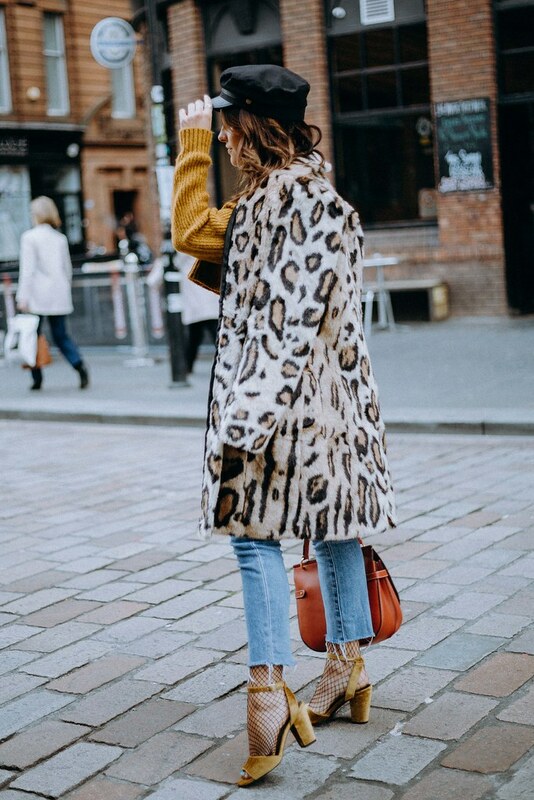 I love the mustard and leopard print combination! Now this outfit is IT! Loving the look & the pics lady. SO cute! I love every single thing about this outfit, especially the coat!! I love the sandals with the fishnets and the leopard print coat is gorgeous!! Love this outfit Amy, looks amazing on you! Amy, I want this coat sooo bad. I haven't stopped thinking about it since I spotted it. Love the styling too, you look hella fierce! you could look any more GORGEOUS?! 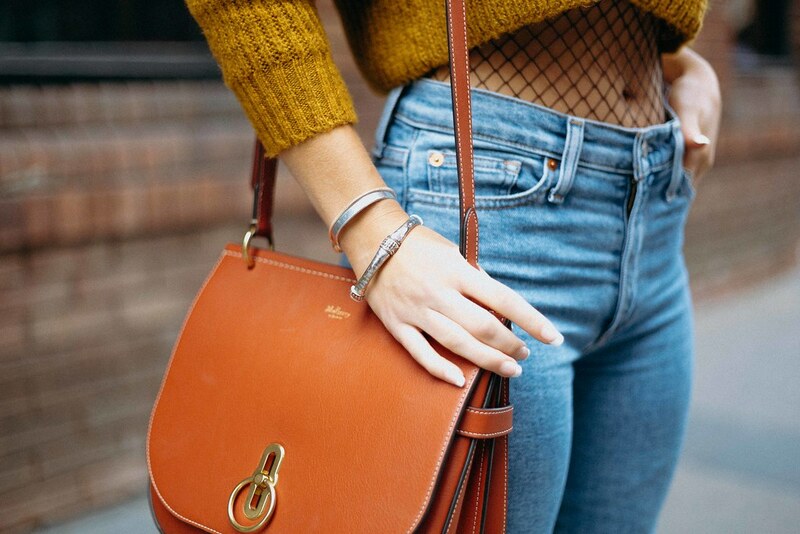 must attempt to wear fishnets like this with the denim and cropped jumper!